Lazertran Decal paper is a great way of transferring images onto surfaces such as stone, wood, plaster, ceramic or glass. I used to love playing around with this stuff when I was studying ceramics at uni. I'd decorate plain plates and coffee pots with pictures of The A-Team or She-Ra. If the pieces are fired in a kiln they can be used and washed without the decal coming away. I kind of wish I had kept some now! 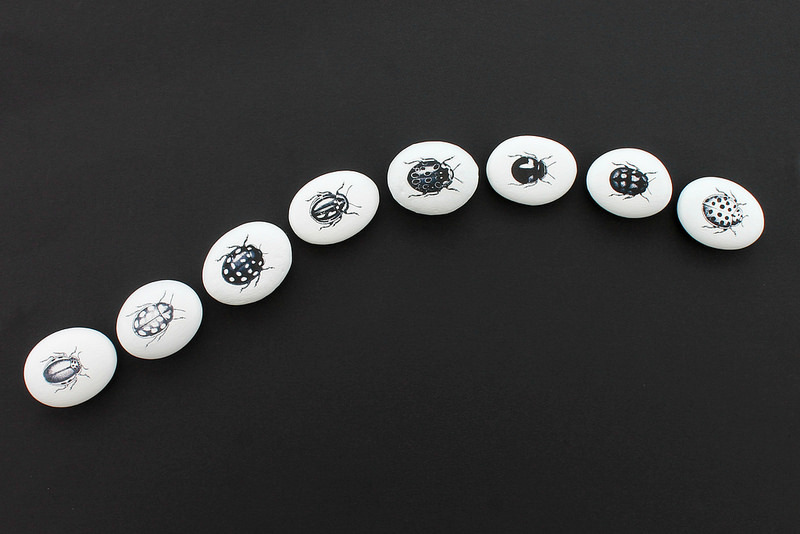 To make these bug pebbles I first gave them all a couple of coats of white paint. I used a silk emulsion that I had, but Acrylic would work too. 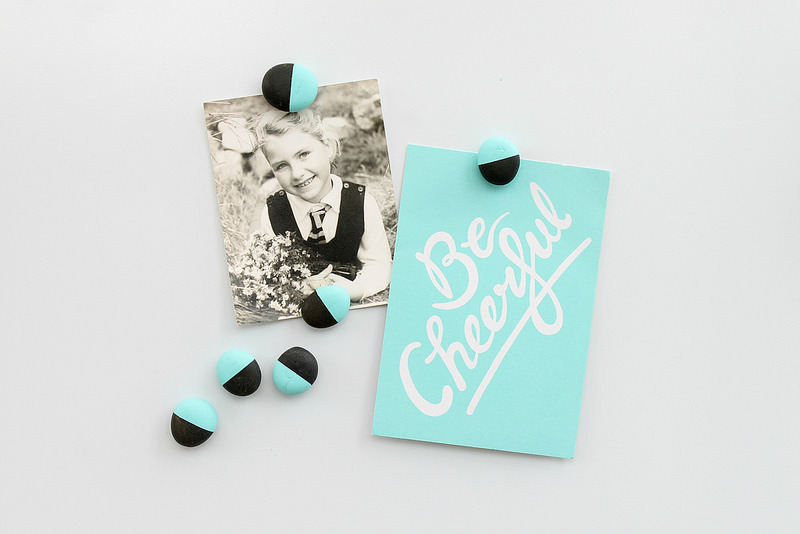 Using an Inkjet printer, print your images onto the smooth, chalky side of the Lazertran paper and allow the ink to dry for at least 30 minutes. Cut the image to size and soak in some water (about a minute) until the image comes away from the backing paper. 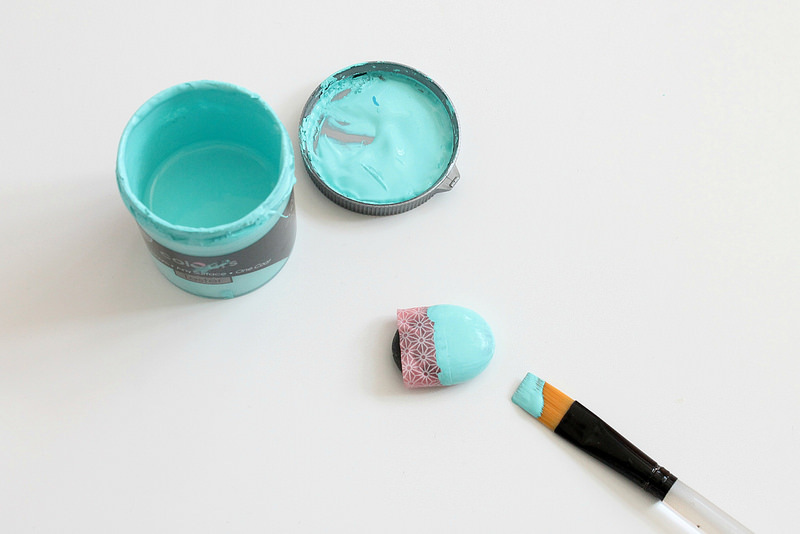 Next paint the pebble surface with a coat of real turpentine - turpentine substitutes or white spirit wont work. Carefully position the decal onto the pebble, smoothing out any air bubbles and leave to dry for a few hours. You could finish the pebbles with a clear varnish, though I decided to just keep mine as they were. 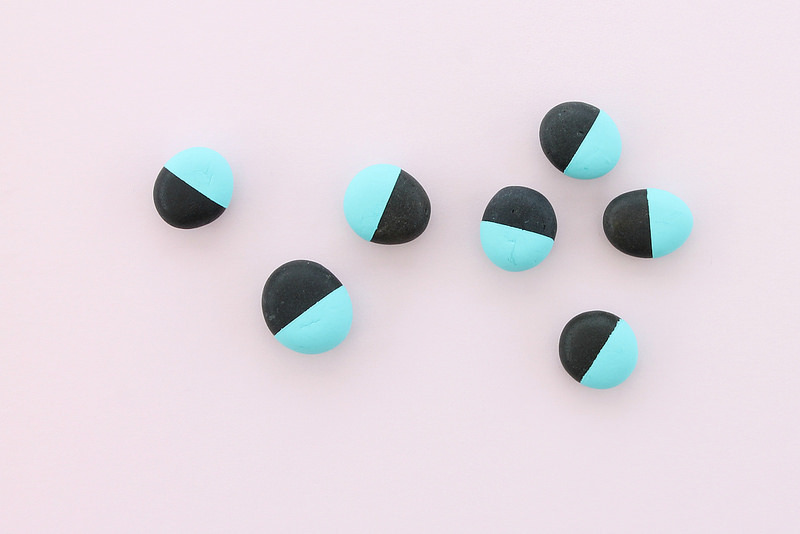 I made these dipped pebbles a few weeks ago (you might have seen them if you follow me on Instagram) Again using some emulsion paint, I wrapped a little tape around the centre of the pebble and painted one half. I thought they would make sweet fridge magnets, so I simply glued some small magnets to the backs using a strong glue. 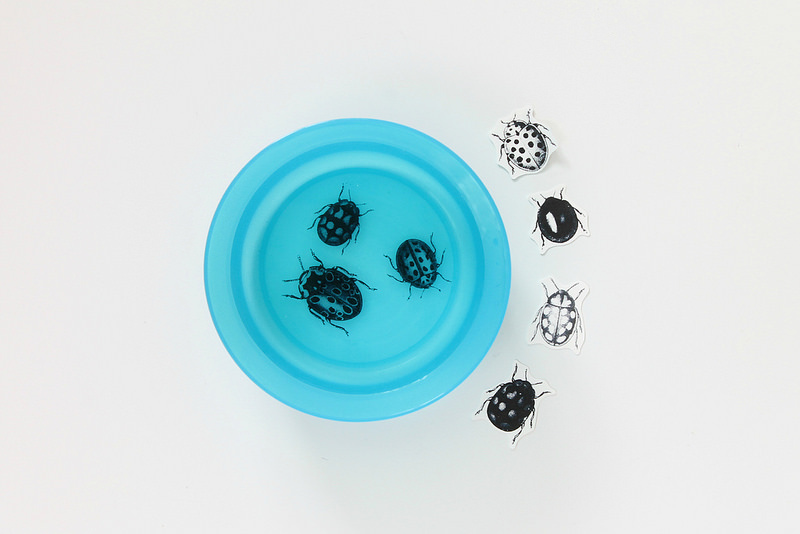 I think I'll make the bug pebbles into magnets too - I just need to get some slightly bigger/stronger magnets to stick on! Have you used Lazertran or decal paper for crafting before? 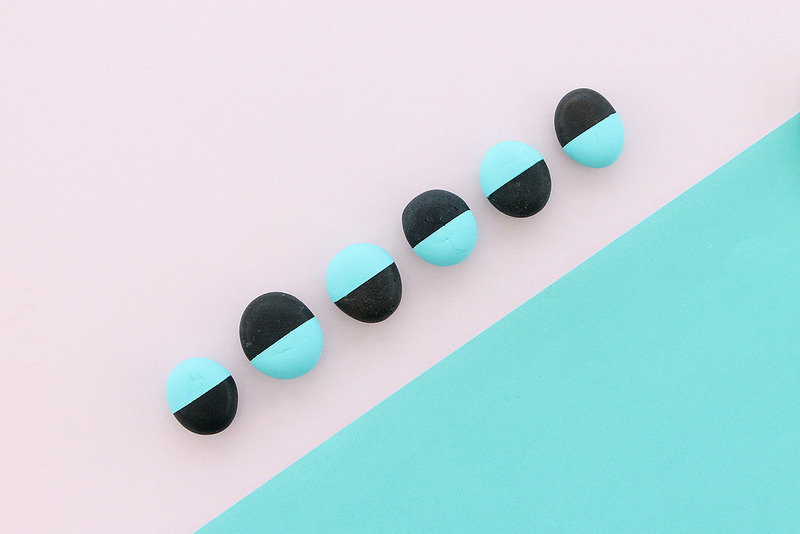 ¡Qué lindas son las piedras pintadas! I've never tried this kind of paper before, but how cool! 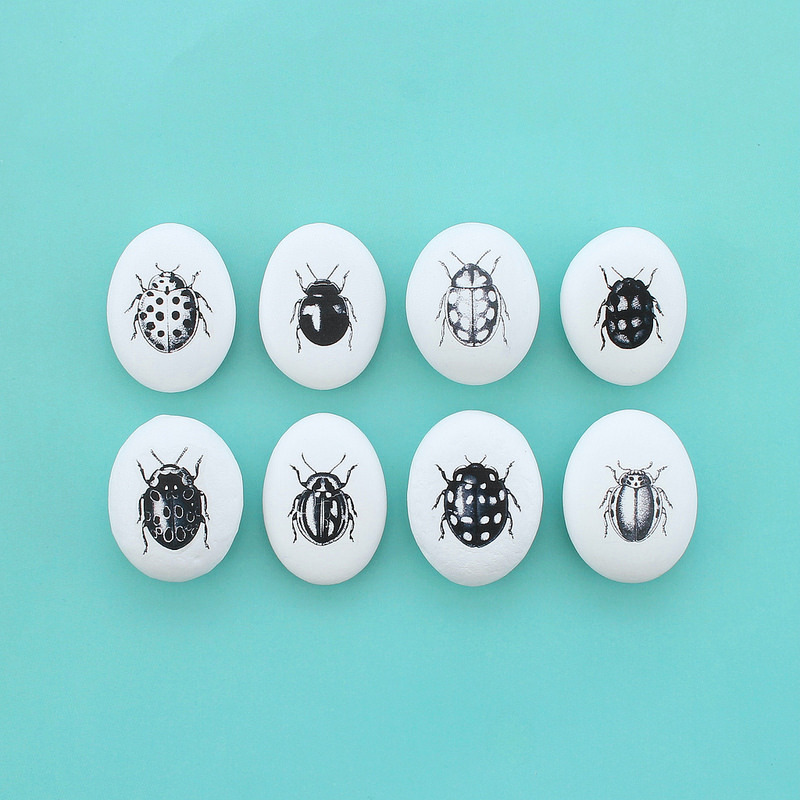 I love how the bug pebbles look, the designs are so crisp and clear. I hate bugs but I love those! 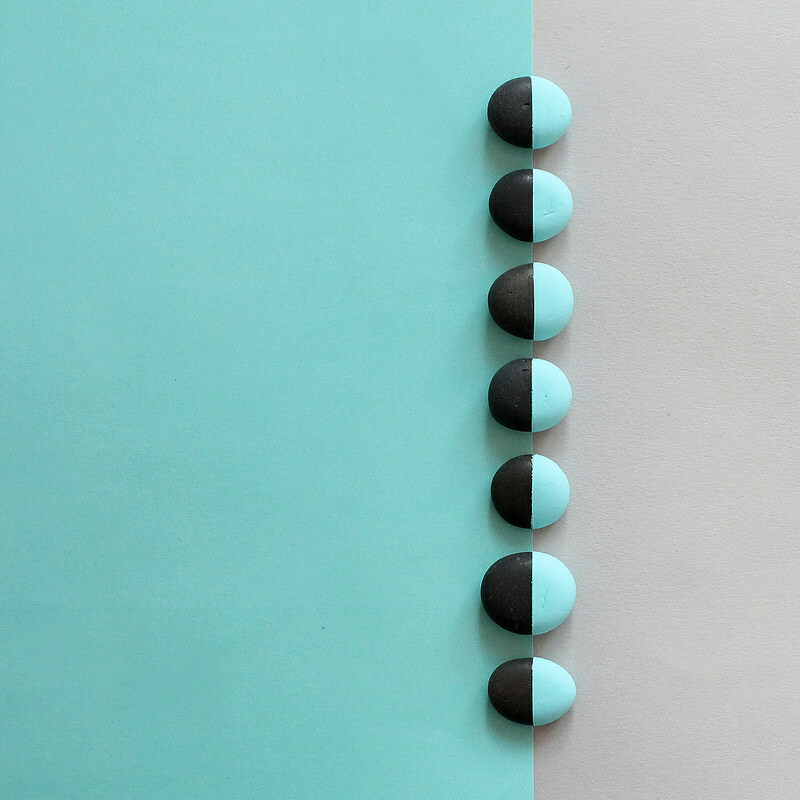 And such a great idea to make the pebbles into magnets, you are so creative! Love this Caroline, I adore decals. Can I ask what the turpentine does?